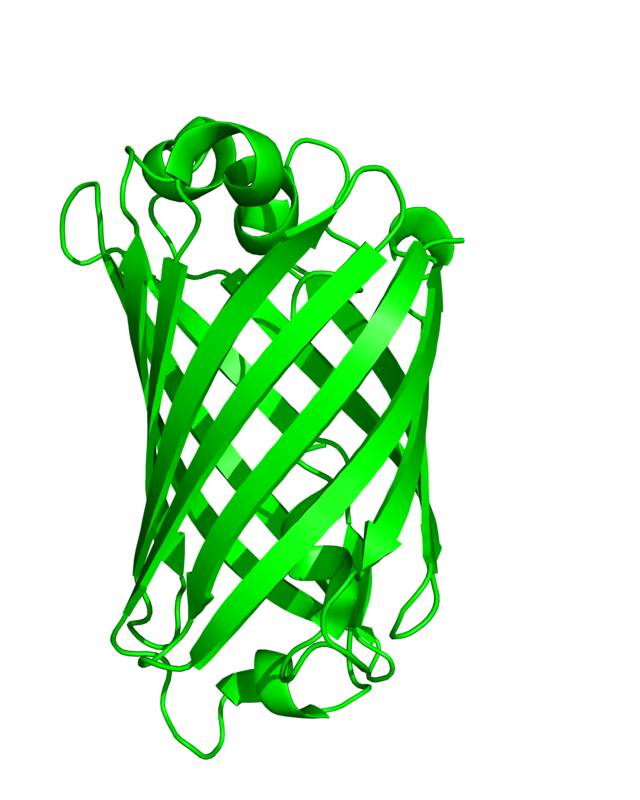 Jellyfish Green Fluorescent Protein (GFP) and its derivatives are still the most frequently used fluorescent proteins in biomedical research. Recently, additional green fluorescent proteins have been discovered in higher animals such as crustaceans and lancelets. These FPs share a common fold, but diverge widely in their primary sequence. Thus, they require novel, dedicated antibody research tools. Here is an overview about EGFP (the most commonly used GFP derivative), TurboGFP and mNeonGreen. 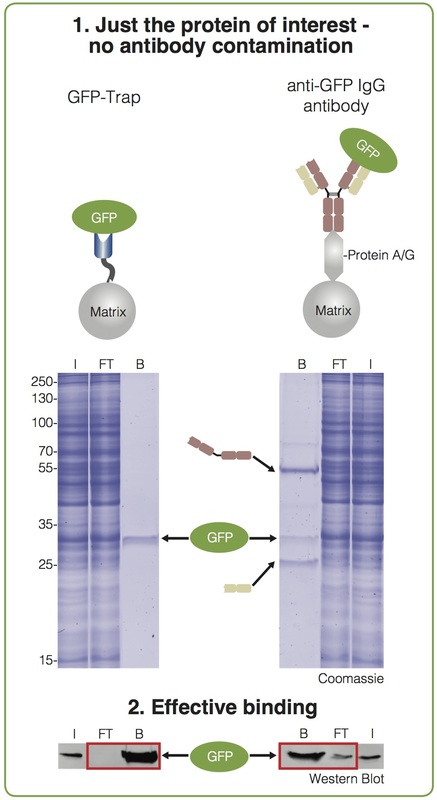 Although traditional IgG antibodies are often used for immunoprecipitation and protein interaction analysis, GFP-binding protein (GBP, ChromoTek gt-250) and other ChromoTek VHHs (https://www.chromotek.com/about-us/the-alpaca-antibody-advantage/) easily outcompete those under challenging conditions such as elevated temperatures, varying pH or high denaturant concentrations. In fact, GBP tightly binds GFP-fusion proteins even in 8 M urea at 51 °C, which sets a new limit in protein complex stability, virtually unrivalled by any other capture molecule protein tag pair.